Candice finds that helping families find the perfect home is a joyful and fulfilling experience. She wants her clients to know that she understands that purchasing a home is one of the largest and most important investments that they will ever make. 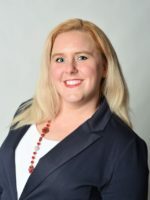 Whether you are buying your first home, downsizing, or moving to a larger residence, Candice will work diligently and enthusiastically to identify your preferences, and ultimately help you to find the home that best suits your needs. It should be noted that, her service doesn’t stop there. Candice has the knowledge and experience to ensure your best interest every step of the way, from signing the contract to the closing table. She is always available to quickly address any issues that arise and answer any questions that you may have along the way.